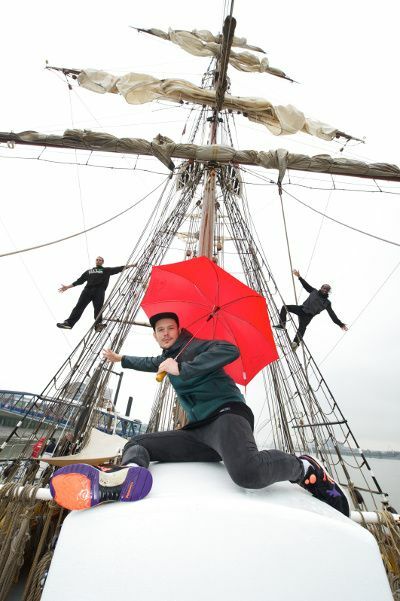 Spectators had a chance to meet some of the performers who will create a huge and eclectic range of performances, events, workshops and shows that make up the Royal Greenwich Festivals throughout 2016. 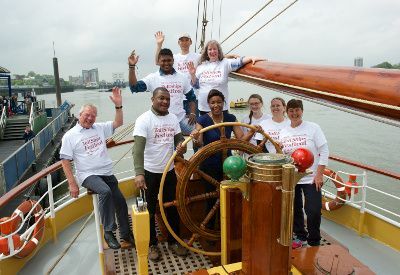 Plus, Royal Greenwich is proud to begin the countdown to the Rendezvous 2017 Tall Ships Regatta in April 2017, when 50 majestic Tall Ships will gather along the river bank of the Thames before setting sail for Quebec to mark the 150th anniversary of the Canadian Federation. array of events. Whether it is street theatre, literature, music or dance performances, the Festivals will offer something for everyone. Cllr Denise Hyland, Leader of the Royal Borough of Greenwich said: “I am delighted to welcome back the Royal Greenwich Festivals for another exciting year of entertainment, dance, theatre, music and art. This year’s programme of events promises to be bigger and better than ever. “The Royal Borough has a very strong commitment to arts and culture, especially animating our town centres with spectacular street performances designed to appeal to residents and visitors from all over the world. Our strong arts and tourism industry provides support for thousands of local jobs and provides a significant boost to the borough’s economy. Words and ideas come to life in two days of author events, discussions and creative workshops in the historic buildings and grounds of the Old Royal Naval College on the banks of the River Thames at SE10. • Creative Writing - explore the world of writing and publishing in a specially curated set of events. The Greenwich Children’s Theatre Festival is back with a week of fun family shows and workshops at venues across the Royal Borough. From new work to classics, outdoor performances to intimate studio pieces, plus many creative workshops, there is something for everyone this May half term. • The Wonderful World of Mr E - finish the week off with a superb outdoor show where Mr E and his two assistants will take the entire audience on an adventure into imagination itself. Immerse yourself in the biggest Greenwich Dances festival yet, with free outdoor events and family performances in venues and spaces across the Royal Borough - as well as events in the stunning surroundings of Greenwich Dance’s Grade II listed home at Borough Halls, SE10. • Wee Company & Francesco Scavetta’s Surprised Body Project #London - led by acclaimed dance artist Francesco Scavetta, a three week creation process in the UK and Sweden will bring together dancers from across Europe in the UK premiere of Surprised Body Project #London. • Double Bill: Jan Martens and Hannah Buckley - the final evening of Greenwich Dances 2016 is a double bill of solo performances by these two acclaimed choreographers that will make the audience think and feel differently about the world around them. This year’s 21st birthday edition features the very best of UK and international outdoor arts. To celebrate, the Festival will be animating more venues than in any previous year, with traffic free streets, parks, squares and heritage sites across Greenwich and Docklands all hosting the festivities. • Ignite! - an outdoor arts programme taking inspiration from Woolwich’s manufacturing and industrial past, whilst looking towards its new and evolving cultural ambitions. • The Clash of Drums by Les Commandos Percu and Deabru Beltzak - the Festival reaches a spectacular finale with The Clash of Drums; a mix of percussion and awesome fireworks from the French company Les Commandos Percu and the Spanish street theatre group Deabru Beltzak. Vibrant one day music events held in Woolwich, Eltham and Greenwich Town Centres. Featuring classical, world, folk and popular music performed by local, amateur and professional musicians. • Greenwich Classics - join the Bollywood Brass Band for an afternoon featuring the very best classical Bollywood and European music spanning the last 40 years. • World Music Experience - General Gordon Square will form the backdrop to a selection of music from around the world. The event will showcase a diverse range of music giving the local community a taste of what the Royal Borough has to offer. Explore the beautiful grounds of Eltham Palace and discover pop-up performances, live music, and creative activities for all the family – plus dance through the decades in the Great Hall of the Palace, SE9. Greenwich World Cultural Festival returns to Eltham Palace & Gardens with a stunning afternoon of free dance, theatre, music and circus from around the world, for all the family to enjoy. A festival of open air entertainment in Greenwich’s pleasaunces, parks and commons. Featuring music, dance and drama performances by local artists and groups, PARKSfest aims to entertain and inspire; drawing local people into parks and open spaces to watch live performances within easy reach of their homes. The festival is planned, organised and delivered by the local Friends of Parks groups. Look out for Family Fun Day, Arts in the Park and a Royal Celebration Tea Party among much, much more in the royal borough’s parks and open spaces this summer.